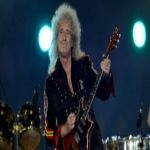 QueenOnline Message Board • View topic - Is it time to bring WWRY back to London and/or a U.K tour? Is it time to bring WWRY back to London and/or a U.K tour? Hey guys I was having a discussion with a few friends of mine about London shows that have been away for a while and have come back even for a limited run a bit of a while after it's initial closing date, so I was just wondering if you guys thought and/or felt if maybe enough time has passed for WWRY to be either brought back to London or put back out on the road for another UK tour, especially seeing as the latter hasn't been done in just over 3 years now since the Arena tour. What are your thoughts and opinions on this? Just noticed this, some dates for the WWRY tour have been posted, more to follow according to the article. List of venues/dates for 'We Will Rock You' Tour 2019/20 Tickets are on sale already for all these venues! Probably at least another 4 or 5 venues to be added. Thanks for posting that btw. Found out from you long before it started appearing on my social media. Managed to get seats for front row of the balcony for the show I picked which I maybe wouldn't had I not got in this morning. Can't wait, the script/storyline is so bad but the show just brings me so much joy and by the time every single audience member is on their feet screaming We Are The Champions at the top of their voice, feel a great sense of pride in 'my' band. BitterTears wrote: Thanks for posting that btw. Found out from you long before it started appearing on my social media. Managed to get seats for front row of the balcony for the show I picked which I maybe wouldn't had I not got in this morning. Can't wait, the script/storyline is so bad but the show just brings me so much joy and by the time every single audience member is on their feet screaming We Are The Champions at the top of their voice, feel a great sense of pride in 'my' band.